I just finished this card for a friend of mine, she asked me if I could make her a card and include the baby's name on it, Charley. She wanted it girly....well there is not more of a girly color than pink. 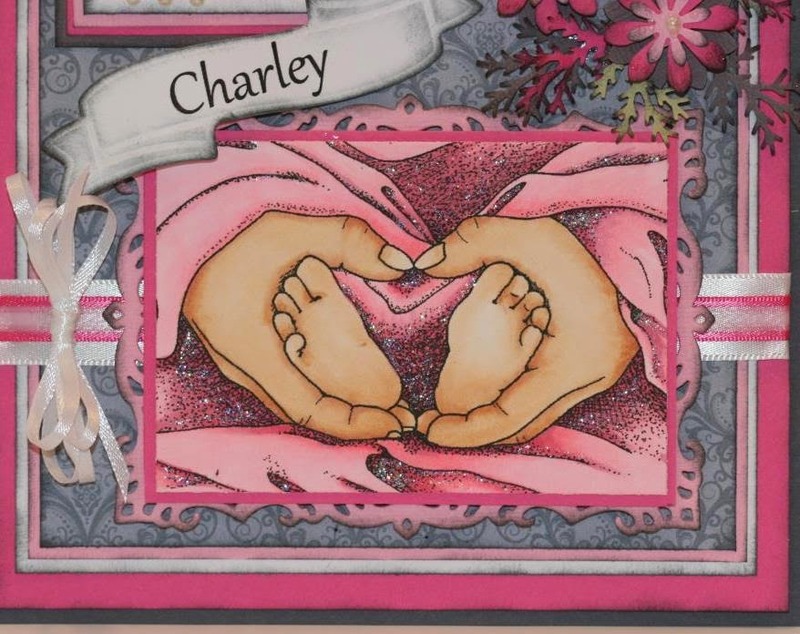 I instantly thought of this great image from Whimsy Stamps by designer Crissy Armstrong called Mothers Love. This image was released a couple months ago in honor of mother's day but I thought it would make a wonderful baby card. I sure hope she likes it. Hope it gets your creative juices going and you create something wonderful as well. Great layout, love the colors and the image, is super awesome. Nice flowers and pretty ribbon for a nice added touch! WTG!